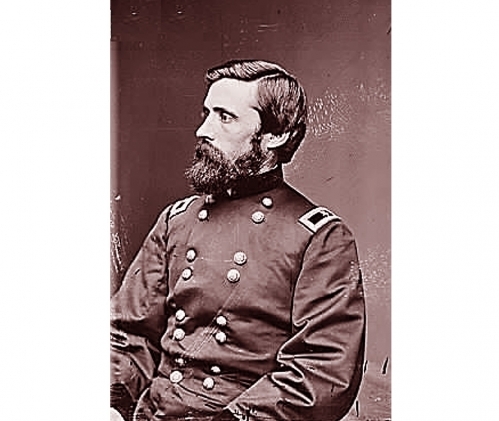 A 1917 review of a biography covering the life and times of Brigadier General John Rawlins (1831 - 1869). Rawlins distinguished himself as the Chief of Staff to General Ulysses S. Grant during the American Civil War. It is explained that the two met while Grant was engaged as a sales clerk at a leather shop which was owned by Rawlin's brother; at the outbreak of the war, in 1861, Grant's skill as an officer became clear to many and with each promotion he was able to secure Rawlins' certain advancements in grade. By 1863 Rawlins was promoted to Brigadier General. During Grant's term in the White House, Rawlins served as Secretary of War. The author of the book, Major-General James Harrison Wilson, is remembered as the man who captured Confederate President Jefferson Davis in flight; the review of his autobiography can be read here. General Grant's march on Richmond.